I’ve been giving a series of guided tastings in English at the Wine Aspects school in Vilafranca del Penedès. They started with DO Empordà and will finish with DOQ Priorat. But right in the middle, there was DO Montsant. While the Empordà tasting was full and I suspect the Priorat tasting will also be as such, Montsant had a couple of extra seats and I have to say that it didn’t surprise me despite the fact we were tasting some excellent wines during that session. The week after, I attended another tasting organized by DO Montsant for the Catalan Sommelier Association at the Hotel Villa Retiro in Xerta. Despite the remote location, it was well-attended by many sommeliers from the Tarragona chapter of the association. We tasted through various examples of the excellent wines that are emerging from each of the six subzones that the DO has established based on various conditions including soil types and microclimates. The difference in these two tastings highlighted the currently contradictory opinion of DO Montsant held by the general wine drinking public and the wine professional. For anyone in the trade, Montsant has come a long way since it was established in 2002. In fact I can think of few wine regions that have been this active both in terms of regulatory outreach and winemaking excellence. The region can still offer a good balance of price and quality, but most importantly, Montsant has risen to what I define as a “classic wine region” in that it has wines for everyday drinking, mid-range wines for more special occasions, and then top-end icon wines that are truly stupendous. While there admittedly exist less of these icon wines than in neighboring DOQ Priorat, I feel that overall the public still views the wines of Montsant, sometimes dismissively, as the “cheap Priorat”. This is unfortunate on two counts. For starters, the more interesting wines are not what I could call “cheap”. Engaging, terroir-driven wines in DO Montsant start around 10-12€ which is similar to Priorat where they start about 12-15€. 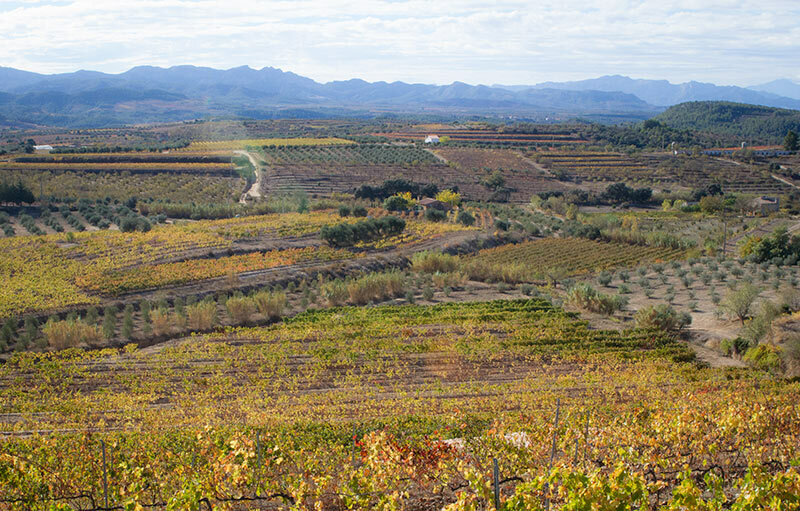 But more than an issue of price, Montsant is simply not a lesser copy of DOQ Priorat and has to be judged as a truly separate, unique region. Take for example the most expensive wine in DO Montsant, l’Espectacle which costs around 120€. This wine is nothing short of stupendous. From a single, very old, and insanely steep, north-facing vineyard in the village of La Figuera, year upon year, I am blown away from the beautiful character of this wine. I’ve found few who have disagreed yet at the same time, I feel they simply dismiss it as a “Priorat-level wine made in Montsant” which is completely misguided. The freshness of this wine’s Grenache paired with its complete lack of llicorella minerality in favor of limestone is definitive of Montsant–I know having tasted all the wines produced for my Montsant book. This is an icon wine from Montsant and it’s not alone as there is Vinyes Domènech’s Teixar & Vinyes Velles de Samsó, Orto Vins’ Singularitats, Celler de Capçanes’ Peraj Ha’abib, Ficaria Vins Cerverola, as well as others. And what’s fantastic about the region is that there is a constant quest to strive higher, especially by the smaller cellars. A recent tasting at Celler Comunica was absolutely fantastic and showed that the wines of the bombastically friendly Pep and Patri (who were also leading this recent tasting in Xerta) have reached a new level of taste and complexity now that they have their own cellar just outside of Falset. On this point, I couldn’t agree more. Overall, the cooperatives produce what I usually term as “reliable wines”. There’s absolutely nothing wrong with them and they can offer a welcoming price point for people looking for a basic wine. The problem is that when you create wines from so many separate vineyards from all over the place (Montsant is extremely similar to Priorat in that regard by having many small scale grape growers) you lose typicity and thus the wine just becomes a product. Again, don’t get me wrong, there’s always been and will always be a place for these wines but they won’t motivate someone to search out DO Montsant anymore than, say, DO La Mancha or AOC Languedoc for that matter. The future of DO Montsant does indeed lie in there being more small producers so that people can understand what potentially excellent wines can come from the region. Thankfully, there has been growth on this front with several new, small cellars opening in the last year such as one by my friend, Fredi Torres or Raimon Castellvi who is already known from his Priorat wines. Others experimenting, making better wines every year such as Joan d’Anguera, Alfredo Arribas, Cedó Anguera, Vinyes d’en Gabriel, La Venus Universal, and more. But a lot of these wines are just coming on the market now and if the immediate word association with DO Montsant for you is “cheap Priorat” I urge you to try them and see that Montsant has come a long way in a short time with singular wines very much worth your euros.